Alimony support is money paid by one spouse to the other to make up for a difference in the incomes of the spouses and fill a need. The goal, at least initially when temporary support is awarded, is to keep both spouses in a standard of living similar to what they enjoyed together before the divorce. Different objectives are addressed when permanent spousal support orders are made. Spousal support is not automatically awarded in every divorce, but its use is not obsolete. The most common mistake people make when not represented by an attorney is giving up too much or too soon on spousal support. Yes, you’d like to get things over with and move on, but lots of people are quite unintentionally way too generous when giving up spousal support rights. Take this example: Husband is earning about $100,000 a year and he wants to know if he could avoid paying alimony. Neither spouse is represented by an attorney. Estranged wife, a clerical worker, had verbally agreed to $400 a month in alimony, after a twenty year marriage. This is an example of a huge discrepancy of what is reasonable and fair in that particular case. But wife doesn’t want to “make waves.” She is probably leaving on the table anywhere from $1,000-$3,000 a month because she simply didn’t want to rock the boat and make things more difficult. It’s okay to leave money on the table. At least know that you’re leaving money there. It has to be spelled out very clearly so no one is surprised. Only a competent lawyer is going to be able to give you straight talk on this. Do not guess. Alimony is payment by one spouse to the other and in California it’s called spousal support. Now typically spousal support is ordered for a couple of reasons and under a couple of different scenarios. Temporary spousal support is usually ordered very close to the outset of the case and all it is intended to do is to maintain the status quo – basically to equalize the net spendable income of the two parties. There are couple of different rules about spousal support. There is a presumption, under California law, that spousal support shall be payable for half the length of the marriage if the marriage is less than 10 years in length. When you get beyond 10 years, well that rule doesn’t apply at all, so… People attempt to misapply it there. Spousal support, at least on a temporary order, is almost always calculated using software which is very popular with our judges and frankly the Appellate cases really encourage family court judges to use software to calculate support. When it comes to permanent spousal support orders though, judges are actually prohibited from using that same software, They have to instead consider a laundry list of factors all found in family code section 4320-4326 you can read up on that. I can recite probably most of them but I won’t. The biggest is the need of one party for support and the ability of the other to pay. And that is usually a simple is looking at their paychecks. Other factors include, of course, the length of the marriage, which party has custody of the minor children, how old are these folks, with certain level of education, history of earnings, is there history of domestic violence. A parent who has been perpetrating domestic violence is going to have a very hard time getting spousal support. There are several other factors to be considered. And also, as a general rule, permanent spousal support orders are significantly less than temporary orders. 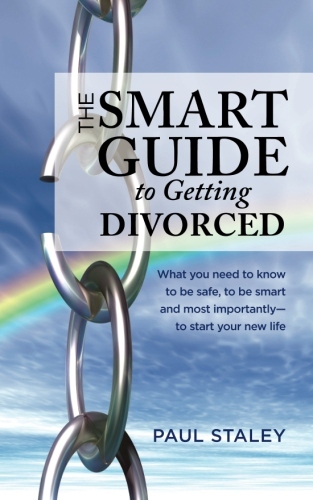 Previous post: Cost of Divorce Lawyer and a Trial …Is that really necessary?